What is our commitment to you, and your personal data? 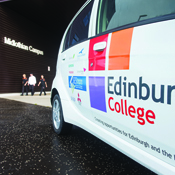 Edinburgh College is committed to protecting the privacy and security of your personal information. This privacy notice explains how we collect, use and share your personal data, and your rights in relation to the personal data we hold. (You can read more about these in “Your Rights” below). We will comply with the data protection principles of data protection law. Personal data is information which identifies you specifically, and also relates to your life (whether that’s your home life, education, business or job). We tell you about the specific items of personal data we collect from you below. When we completely anonymise your data (so that individuals cannot be identified) it stops being personal data. What is “special category data”? Some of your personal data (like your health information, religion, criminal convictions or ethnicity) is more sensitive – this is called “special category data” (we tell you which special category data we collect from you below). In most circumstances you do not have to provide this information (unless you are completing a PVG application, where you must supply this information). When you apply for certain specific special categories of Additional Support Funding (for example, because you’re eligible for additional help to travel to college due to a pre-existing health condition), the college must ask you to give us certain health details to process your application. 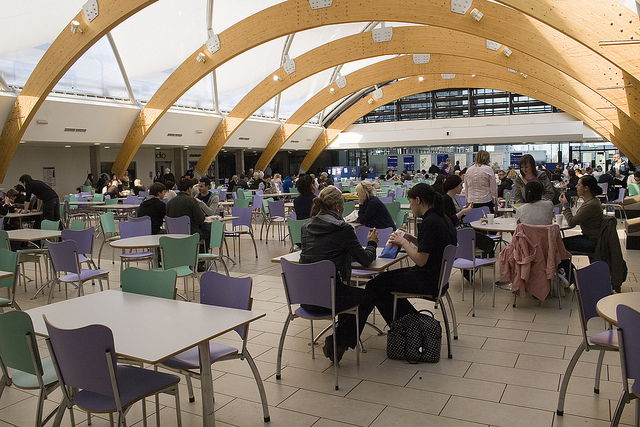 Where you’ve agreed special college attendance arrangements with your Learning Development Tutor (under the college’s Flexible Attendance Policy) you will need to provide certain health information to your Learning Development Tutor (where this is the reason for the putting the special attendance arrangement in place). If you receive discretionary funding your Learning Development Tutor will inform the college’s Student Funding Team that you have agreed flexible attendance, but will not pass on details of your health condition. Bank account details Special interest group status (e.g. asylum seeker; refugee; care-experienced; stateless person; veteran; person with profound or complex needs). Your IP Address (your unique online identifier when browsing the internet). When you first apply for a place on an Edinburgh College course, we will collect data about you on our application form (we explain this in our Application Privacy Notice). When you formally enrol on a course by completing our self-enrolment form, we give you the chance to check some of the personal information you provided at application stage; and we also ask you for new items of personal information. If you’re a private individual (or company) purchasing a course. 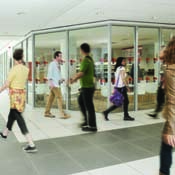 When you apply for discretionary funding (including bursaries, Educational Maintenance Allowance, childcare or discretionary funding); we will use information you have already provided at application and enrolment stage; together with information we’ll ask you to provide on our discretionary funding application forms. Why do we need the information we’re asking for? For academic purposes: to provide you with teaching, learning and support services; to assess your work; record your progress and ensure you receive certificates from awarding bodies like SQA and BTEC. Monitor your performance and attendance, supervise, conduct assessments and examinations, confer Edinburgh College awards; and provide awarding bodies with assessment results to enable them to confer awards. To give you access to Student Support, IT, library, careers, and other college services. What’s our legal basis for using your personal information? We’re collecting your personal information for the academic purposes above, as part of our Public Task (this is called a “condition for processing” and we need one of these under data protection law to allow us to process your information lawfully). 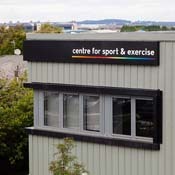 The Post-16 Education (Scotland) Act 2013 allows Edinburgh College to run educational courses, and to provide support services, for students. The Data Protection Act 2018 allows us to process your health and other special category data, when we’re specifically providing student support services or making adjustments during your course in relation to any disabilities, because this is set out in statute (law) (the Post-16 Education (Scotland) Act 2013) . We also use your health and other special category data (e.g. ethnicity, sexual orientation, race) to carry out statistical analysis (where you provide this information) to ensure we’re advancing equality of opportunity and treatment for all student groups; the Data Protection Act 2018 allows us to process your information for this purpose (but only where you’ve chosen to provide this data). For administrative and financial management services: to administer fees due and paid for by you and to process payment made for other college related services (for example accommodation); to provide eligible students with childcare and other discretionary funding. Assess your entitlement to student support payments (like Education Maintenance Allowances (EMAs), Childcare Fund payments, bursaries and discretionary funds) and make arrangements for the payment of these to you in the event you are successful. Communicate with you in connection with administrative and financial services. Where we are collecting your data to ensure payment of course fees, to provide accommodation, graphics and printing services, or library fines we need to process your data to fulfil a contract you have entered into with us. Where we’re using your personal information to provide you with a bursary, an EMA, childcare funding or discretionary funding we’re doing this as part of our Public Task. This comes from the Education Student Loans Scotland Regulations (2002); the Education (Access Funds) Scotland Determination (2014); and the Education Maintenance Allowances (Scotland) Regulations 2007. To meet our duty of care to you and other legal obligations: to comply with a legal obligation; protect your vital interests in an emergency; exercise or defend legal claims or comply with court judgements; and protect public health. Comply with a statutory obligation (e.g. under tax or immigration law; as part of the Protection of Vulnerable Groups (PVG) Act 2007). Meet our obligations under equality law. Under the UK Equality Act 2010 we need to collect special category personal data about our students to assist with monitoring equality of opportunity and eliminating unlawful discrimination. We hold this information in strictest confidence and disclose it to bodies with a statutory duty to collect it (i.e the Scottish Funding Council). You can choose whether you want to provide information for this purpose. If a student or applicant declares they have a disability, we have a duty to disclose this information on a need-to-know basis to staff to ensure that reasonable adjustments are made, enabling disabled students to meet their full academic potential. Comply with a legal obligation (e.g. providing your personal data, including equality and health information, to the Scottish Funding Council for funding and equalities monitoring purposes). For public safety and the prevention and detection of crime: where this is necessary for the prevention, investigation, detection or prosecution of criminal offences, including the safeguarding against and the prevention of threats to public security. 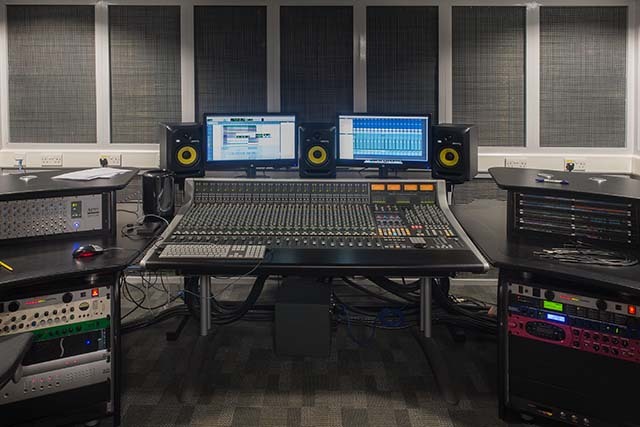 To promote the college: we may take photographs, and other images and recordings of students for possible use in our publicity and promotional material in print and online on our websites and social media. We would also like to inform you of other college services (including the gym and college restaurants); and college events; for direct marketing purposes. We will take photographs of students at events including Graduation, Open Days, and our FE Awards ceremony. 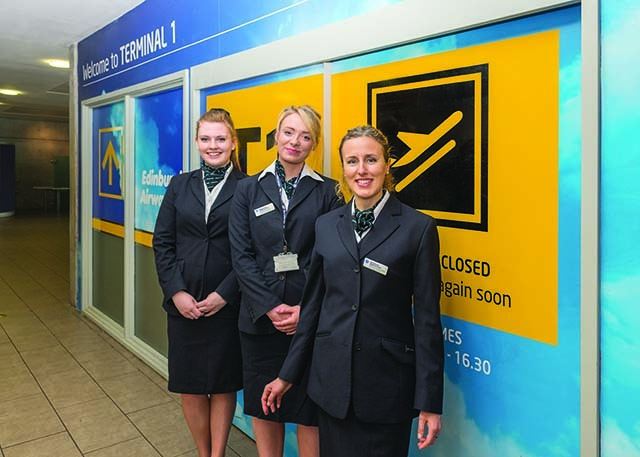 Where you are the subject of the photo we will ask for your consent before using your image in our publicity and promotional material (which will include print and online material - both on our website and on social media). Where you are not the subject of a photograph or film, but are included in a group setting (e.g. as part of the crowd at graduation) we will make you aware of the filming and photography and give you the chance to object/not be filmed/photographed. We will keep copies of promotional material in our archives as a record of the College’s activities. We will keep you informed of additional college services (like the gym, and our restaurants) and college events which may be of interest to you (but only where you have given your consent to receive direct marketing). Where we have your consent (where you are the subject of the image/footage; or where we’ve asked you if you’re interested in receiving direct marketing); or because it is in the legitimate interest of the college to use your image in the promotion of its services (group photos and footage at graduation and college events. Where you object to being filmed or photographed as part of a record of college events, please inform a member of staff or following instructions on signage at events). How do I withdraw consent to a photograph, once I’ve given it? How do I withdraw consent to direct marketing from Edinburgh College? For research: where this is necessary for statistical purposes and also research in the public interest. Surveying graduates from our full time programmes of study to find out if they entered work, further study, or are doing something else. Producing management and statistical information to monitor and improve our performance and our services to you and inform strategic planning (e.g. for recruitment). Where this is necessary for statistical and research purposes. 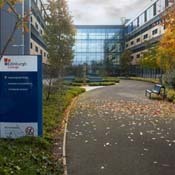 The Scottish Funding Council require the College to survey its full time graduates to find out their destination after finishing their studies at Edinburgh College. Please be aware that we will appoint people and organisations to work for us, and contract them to act as data processors on our behalf. Examples of when we do this include: Moodle, plagiarism detection systems (Turnitin); and BePersonnel (to enable them to provide one to one tailored support where this has been identified as a requirement of your Personal Learning Support Plan). For academic purposes: such as providing the results of assessments to awarding bodies to enable them to confer you with academic awards (e.g. a HNC, SVQ, BTEC qualification); arranging an industry placement for you as part of your studies, to allow you to join the Edinburgh College Students’ Association (ECSA) or verifying your attendance and progress to your sponsor. To deliver a programme collaboratively or jointly between the College and the partner institution, for example, a University. To check that our assessment of your work is fair we will share information with external examiners. To confirm your attendance, progress and assessment marks to your sponsor (e.g. your employer) or the institution through which you are studying. To arrange a suitable industry placement if this is part of your course. To publicise your award in our graduation programme and in the list of awards we provide in press releases to news media. (We will ask you for your consent for this). To enable you to participate in the National Student Survey or other official surveys that give us your feedback on our academic quality and your student experience. 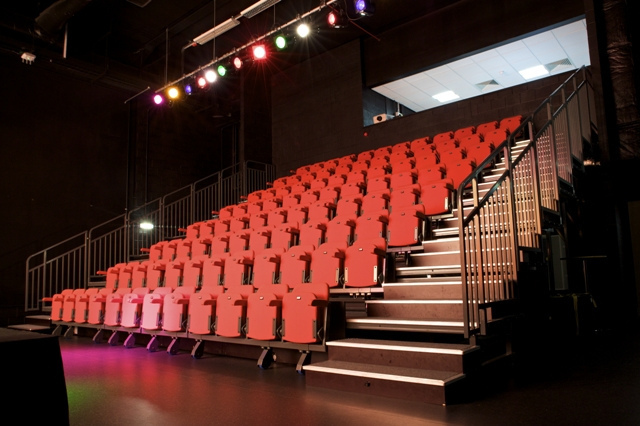 Where we have a legal obligation: this will include sharing with emergency services in a medical emergency, or to assist police investigating a crime, or to provide local councils with information on your choice of course, attendance and progress, and whether you are facing any barriers to education (if you are a school leaver, or school-college partnership student). To help the emergency services (fire, police, ambulance) or a health professional to protect your vital interests or someone else’s e.g. in a medical emergency. To administer your right to be a member of the Edinburgh College Student Association and vote in its elections. Submitting statistical returns to the government or its agencies, including the Scottish Funding Council (SFC), Skills Development Scotland (SDS), and other official bodies. This will include sharing your special category data (where you’ve provided it) with the Scottish Funding Council for equality monitoring purposes; we will also share the destinations of full time graduates with the Scottish Funding Council, where graduates have agreed to take part in our survey. To meet a statutory or regulatory obligation, (e.g. providing details on your course choice, progress, and any barriers to your local authority). Confirming your eligibility for tuition fee funding with agencies including the Student Awards Agency for Scotland (SAAS), the Student Loans Company or your sponsor. To comply with immigration laws. This involves disclosure and data sharing with UK Visas and Immigration authorities about applicants and students who are subject to immigration law. To provide limited information necessary to an organisation with a statutory function, such as the police, where this is necessary for law enforcement. To enable you to access the services of Edinburgh College Development Trust: including financial hardship and extra-curricular grants. 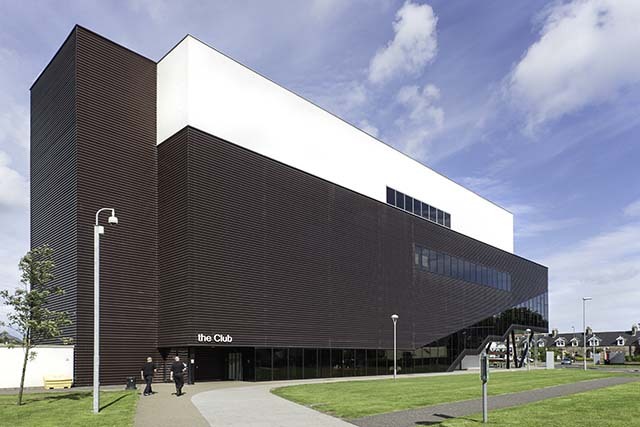 Where you indicate you wish to receive direct marketing from Edinburgh College Development Trust, about their activities, we will share you contact preferences with them. Where you are applying to the Edinburgh College Development Trust through the Green Project Fund we will share your forename, surname, contact details, and programme of study. Where you are applying to the Edinburgh College Development Trust through the McLeod Memorial Fund, we will also share your health and socio-economic circumstances, as part of the process of evaluating your application. We will share you information with the Edinburgh College Development Trust either where this it required in order for you to enter into a contract with them (to access funding) or where we have your consent (to inform them of your direct marketing preferences). As a global organisation we may process your personal information in a country outside the European Economic Area (EEA), when this is necessary to provide you with academic and support services, or fufil a contract with you. Apply the same high standards of privacy and security wherever we process your data. 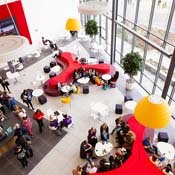 Make Edinburgh College change any personal information that’s wrong, out of date or incomplete. If it’s wrong or out of date, to stop us using your personal information until we’ve put it right. Object to the way we are using your data, by contacting Edinburgh College’s Information Management team by emailing DataProtection@edinburghcollege.ac.uk or you can speak to the team on 0131 297 8663. The team will be happy to help; but we also have an independent Data Protection Officer (Alice Wilson) you can speak to if you’d prefer – we’ve included her details in a separate section below. Complain to the UK Information Commissioner’s Office by calling their helpline on 0303 123 1113. (The Information Commissioner’s Office is the regulator and makes sure organisations across the UK treat your personal information properly). Provide you with a portable electronic copy of the data you’ve given us (data portability). 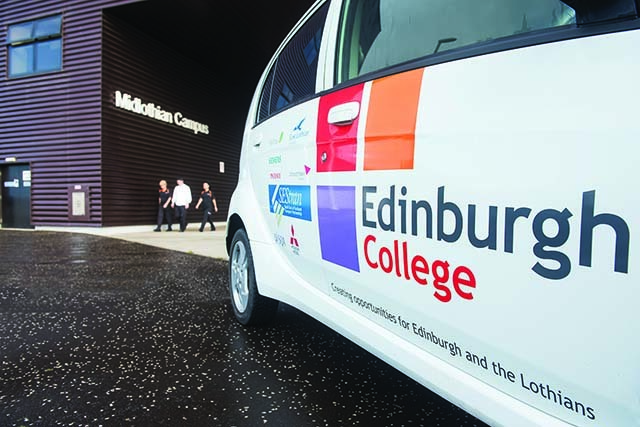 Edinburgh College has an independent Data Protection Officer (Alice Wilson) you can speak to – she can be contacted via DataProtection@Edinburghcollege.ac.uk or 0131 297 8663. We will keep information about you only for as long as needed to provide you with academic and support services and meet our legal obligations and rights. Edinburgh College is providing you with this information, as an applicant to one of our programmes of study, to comply with data protection law and to ensure that you are fully informed and we are transparent in how we collect and use your personal data. Why are we collecting it and what are we doing with it (Purpose)? This will include reviewing your application to see if you have met the entry criteria for a course; and offering a place on an Edinburgh College course where appropriate (some courses will require you to attend an interview). 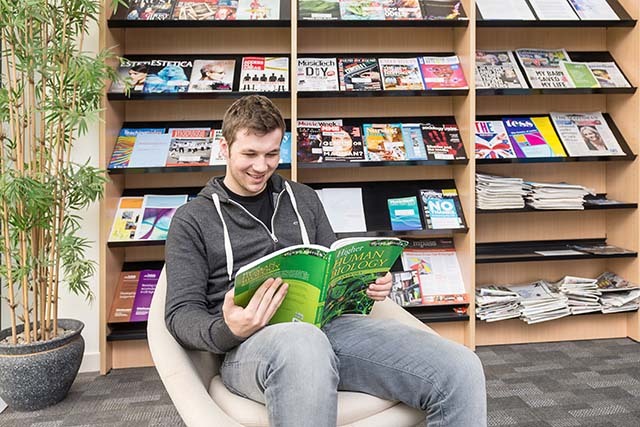 Where you accept an offer of a place on an Edinburgh College course we will use your information to provide you with a timetable; provide you with other essential information required to begin your studies, and to invite you to a registration event. If your course requires you to have a Protecting Vulnerable Groups (PVG) check we will use the information you have supplied to arrange this with you directly. 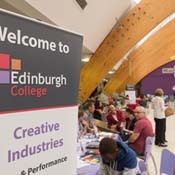 When you have been offered a place on an Edinburgh College course, if you choose to apply for funding, the college’s Student Funding Team will review your course and funding applications, and use the information provided about your education, location and personal circumstances to consider whether you are eligible for student funding support. 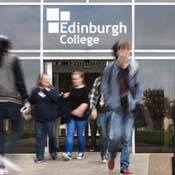 When you accept an offer of a place on a Further Education (FE) course at Edinburgh College you will have the opportunity to apply for student funding on the EMA/Bursary and Childcare funding sections of the application website. If you choose to apply for funding you will receive an email asking you for documentary evidence to support your application. This email will give you instructions on how to supply this and about what will happen next. (Please note childcare funding can only be awarded for registered childcare costs whilst you are attending classes). If you accept a place on a Higher Education (HE) course you will have the opportunity to apply for childcare funding on the funding application website. If you choose to apply for funding you will receive an email asking you for documentary evidence to support your application. This email will give you instructions on how to supply this and about what will happen next. (Please note childcare funding can only be awarded for registered childcare costs whilst you are attending classes). If you or your employer are paying for your course of study, the college will contact you separately to request further information, including bank details (for example). 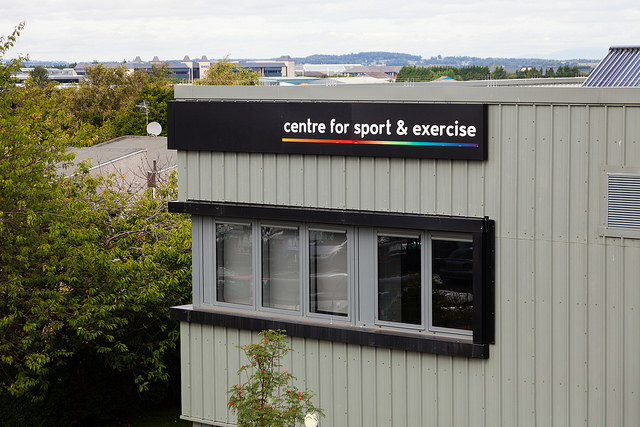 If you are eligible for a fee waiver, and have been offered a place on an Edinburgh College course, the college will collect further information and evidence from you separately – this will either be through the course application system, or directly from you. If you have applied for an Individual Training Account to part pay your course fees you will be asked to provide the college with proof of income in the form of a P60 or your last three months’ payslips. This application form gives you the opportunity to tell the college about any additional support need(s) you may have. The Learning Support Team contacts applicants who indicate an additional support need to provide them with information about learning support at college. This information is not used in any selection or allocation process. 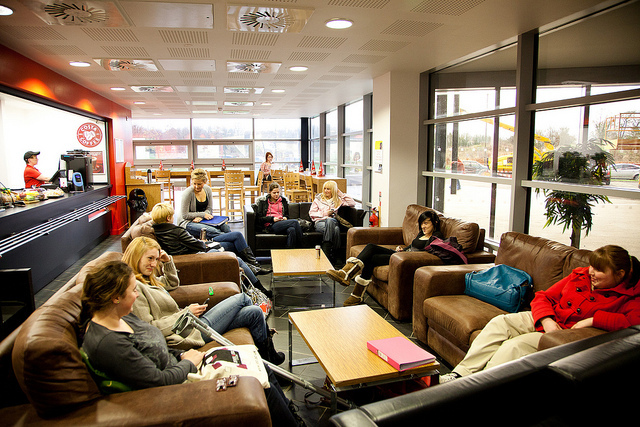 The college analyses student applications, including by key protected characteristic groups (including age; disability; gender reassignment; marriage and civil partnership; pregnancy and maternity; race; religion or belief; gender; and sexual orientation) to plan and improve its services and curriculum offering. Analysing applications by key protected characteristic groups forms part of the college’s responsibilities under the Public Sector Equality Duty, part of the Equality Act 2010. This information (where you choose to supply it) will not be used in any selecting or allocating process. If you are a “school leaver” (you are due to leave school and are applying for a college place whilst still at school) we will share basic information about the status of your application with Skills Development Scotland and in certain cases with school guidance teachers. This will be limited to the status/progress of your application. If you have been referred to the college by a local authority or local authority support service we will share basic information about the status of your application with that local authority/local authority support service. This will be limited to the status/progress of your application. We will share your personal data with other third parties (for example a parent or guardian if you are 16 or over) only where we have your consent. 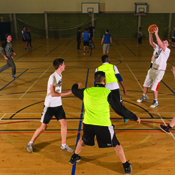 The college is required to provide certain information on “young people” (individuals aged 15 to 25) to Skills Development Scotland (SDS), to enable SDS to a). monitor that young person’s involvement in education or training; b) provide advice or support with regard to that young person’s training. This is explained in our information sharing section below. Employment status (e.g. jobseeker) and history Special interest group status (e.g. asylum seeker; refugee; stateless person; person with profound or complex needs). How are we collecting this information? What is the source? If your course of study requires you to be subject to a PVG check we will collect further details directly from you, following submission of your application. If you apply for student funding we will use information from your application (name; date of birth; gender; address and course details) and collect additional information from you through the Student Funding Application Form – we will explain how we use that information in a separate privacy notice provided to you at that time. Where we need further information around the payment of your course fees, or your exemption from paying course fees, we will collect this information from you separately. (Please note, fee-waiver evidence will be collected through the college’s application form for certain courses). If you enrol on an Edinburgh College course we will confirm the information you have provided via our self-enrolment form (you will be provided with a link to our enrolled students’ privacy notice at that point). For processing of your personal data in order to process your application, the lawful basis is GDPR Article 6(1)(e) “processing is necessary for the performance of a task carried out in the public interest or in the exercise of official authority vested in the controller”. The specific law authorising this is the Post-16 Education (Scotland) Act 2013. Where your special category personal data are processed, the lawful basis is GDPR Article 9(2)(g) “processing is necessary for reasons of substantial public interest, on the basis of Union or Member State law which shall be proportionate to the aim pursued, respect the essence of the right to data protection and provide for suitable and specific measures to safeguard the fundamental rights and the interests of the data subject”. Where the college processes your special category data specifically to provide learning support, the specific law authorising this is the Post-16 Education (Scotland) Act 2013. Where applicants’ special category demographic information (gender identity, sexual orientation, race, ethnicity) are processed for the purposes of analysis in order to advance equality of opportunity and treatment for all student groups, the specific law authorising this is the Equalities Act 2010 (but only where you’ve chosen to supply this information). Where your personal data are shared with your school or local authority for the purposes of updating them on your application status, the specific law authorising this is the Education (Scotland) Act 1980. Where your personal data are shared with Skills Development Scotland, the specific law authorising this is the Post-16 Education (Scotland) Act 2013 and specifically the Young People's Involvement in Education and Training (Provision of Information) (Scotland) Order 2014. Skills Development Scotland: if you are aged 15-25 the college is required to provide the following information to Skills Development Scotland via a secure data hub: your name, address, telephone number, date of birth, Scottish Candidate Number; course information (including start and end date); application/enrolment status; course withdrawal or completion information. 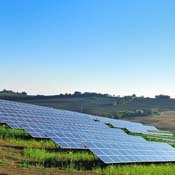 Unit-E and CAMS are provided by third party suppliers, to process student applications and student funding applications. 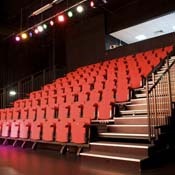 These are hosted by Edinburgh College and sit within the college’s technical controls. How long do we hold the personal data? Paper application forms deleted after seven years; personal data will remain on the college’s Student Record System in line with the college’s retention schedule. Under data protection law, you have a number of rights, some of these rights only apply if certain conditions are met. Your rights are: right to be informed (e.g. privacy notice); right of access; right of rectification; right of erasure (commonly known as the right to be forgotten); right to restrict processing; right to object; right to data portability and the right to know of any automated decision making (including profiling). It’s worth noting that you can exercise your rights either verbally or in writing and the College would be required to process your request in one month. Right to be informed – this privacy notice addresses this. Right of access – you can request access and copies of your personal data held by the college. To do this, please email the DataProtection@edinburghcollege.ac.uk and your request will be processed accordingly. Right to rectification – you can request that inaccurate or incomplete personal data is rectified. Right to Erasure (this right is not absolute and is subject to specifics of the request). Right to object (including to direct marketing). The right to object to direct marketing is absolute and will be responded to accordingly. Right to data portability (this right is not absolute and is subject to specifics of the request). If you are concerned about how your personal data is being used by the College, in the first instance please can you contact the College Data Protection Officer (DPO) at DataProtection@edinburghcollege.ac.uk. Edinburgh College is providing you with this information, as one of our school-college partnership S4-S6 students, to comply with data protection law and to ensure that you are fully informed and we are transparent in how we collect and use your personal data. This will include reviewing your application and personal statement in order to offer you a place on an appropriate Edinburgh College course. This application form gives you the opportunity to tell the college about any additional support need(s) you may have. This information is not used in any selection or allocation process. We will share basic information about the status of your application with your local authority (for example City of Edinburgh Council; Midlothian and East Lothian councils) and your school. This will be limited to the status/progress of your application. 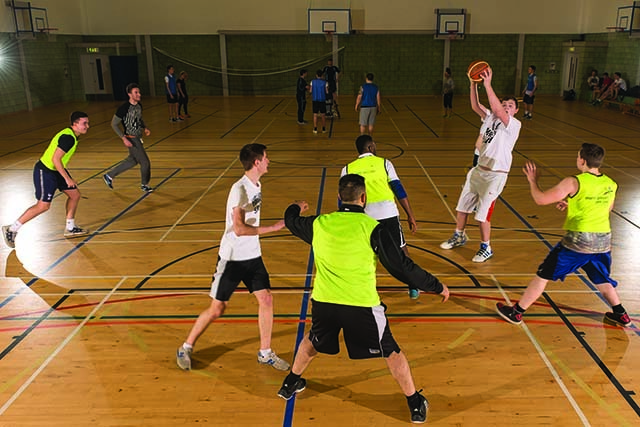 The college is also required to provide certain information on “young people” (individuals aged 15 to 25) to Skills Development Scotland (SDS), to enable SDS to a). monitor that young person’s involvement in education or training; b) provide advice or support with regard to that young person’s training. This is explained in our information sharing section below. 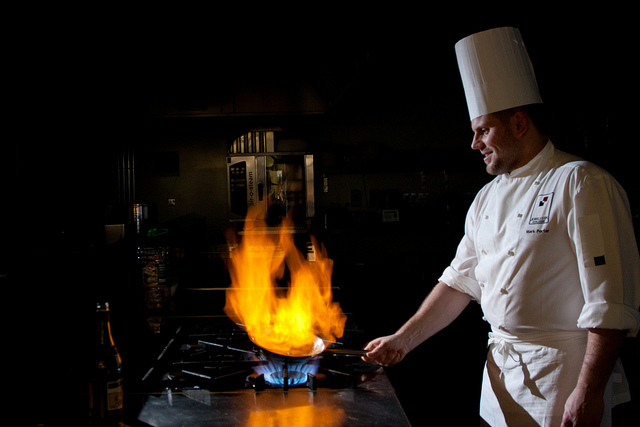 Skills & experience (personal statement) Special interest group status (e.g. asylum seeker; refugee; stateless person; person with profound or complex needs). Evidence to support Alternative Assessment Arrangements (including examinations). 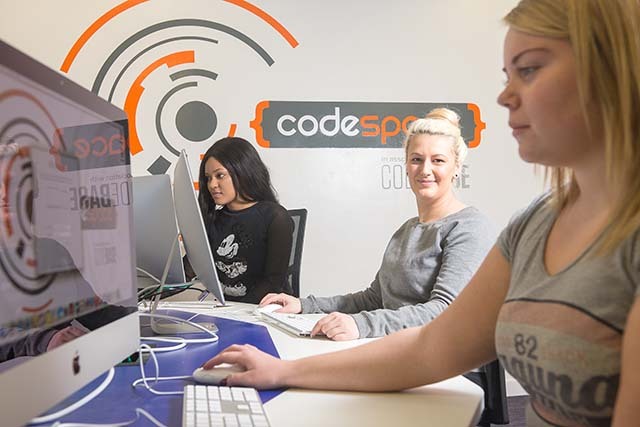 We collect the majority of information directly from you through the college’s application form. However, information on any learning support provided at school and/or alternative assessment arrangements; and any medication you need to carry with you during your studies at college, will be supplied by your guidance teacher in a separate section of your application form. Your local authority and/or school (for example: City of Edinburgh Council; Midlothian Council; East Lothian Council). This is provided through a secure ‘schools tracker’. Skills Development Scotland: the college is required to provide the following information to Skills Development Scotland via a secure data hub: your name, address, date of birth, Scottish Candidate Number; course information (including start and end date); application/enrolment status; course withdrawal or completion information. 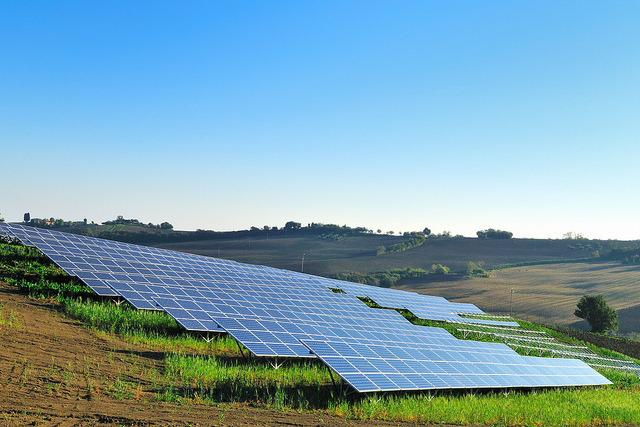 Unit-E is provided by a third party supplier, to process student applications. 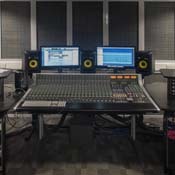 This software is hosted by Edinburgh College and sits within the college’s technical controls. Personal data will remain on the college’s Student Record System in line with the college’s retention schedule. Edinburgh College is providing you with this information, as one of our international students, to comply with data protection law and to ensure that you are fully informed and we are transparent in how we collect and use your personal data. We collect your information for the purpose of processing your application and enrolling you on an Edinburgh College programme of study; and to facilitate your studies at the college (we explain this in more detail below). 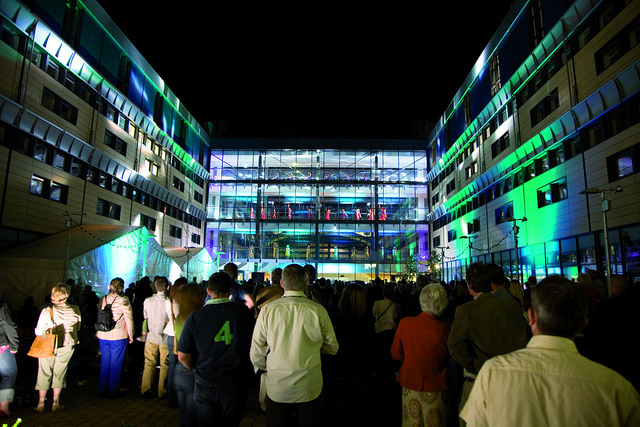 We use your information to provide you with accommodation services, cultural activities (e.g. to arrange visits to local attraction), arrange school visits and transport services (e.g. collecting you from the airport). This will include reviewing your application to see if you have met the entry criteria for a course; evaluating whether the college is able to offer you a place on a course/fulfil a contract of study; and offering a place on an Edinburgh College course where appropriate. This application form gives you the opportunity to tell the college about any additional support need(s) (including health needs) you may have. To provide you with teaching, learning and support services; to assess your work; record your progress and ensure you receive certificates from awarding bodies like SQA and BTEC. To give you access to learning and teaching tools, Student Support, IT, library, careers, and other college services. To seek your feedback on our courses. To administer fees due and paid for by you and to process payment made for other college-related services (for example if you are staying in college accommodation). To support you with your application for a visa to study in the UK, and to comply with our Tier 4 Sponsor obligations to support immigration control. The college analyses student applications and enrolments, including by key protected characteristic groups (including age; disability; gender reassignment; marriage and civil partnership; pregnancy and maternity; race; religion or belief; gender; and sexual orientation) to plan and improve its services and curriculum offering. Analysing applications and enrolments by key protected characteristic groups forms part of the college’s responsibilities under the Public Sector Equality Duty, part of the Equality Act (2010). When you first apply for a place on an Edinburgh College course, we will collect data about you from your completed application form. When you formally enrol on a course, we will also ask you for new items of personal information as identified on the list above. If you are referred by an agent representative, or are being sponsored on your course, we will receive some or all of your personal information directly from your agent or sponsor. Under GDPR Article 6(1)(b) “Processing is necessary for the performance of a contract to which the data subject is party to in order to take steps at the request of the data subject prior to entering into a contract.” Is legal basis for processing your personal data (to enrol you as a student at Edinburgh College and deliver the educational experience detailed to you). For special category (sensitive) personal data, the legal basis is Article 9(2)(b) “processing is necessary for the purposes of carrying out the obligations and exercising specific rights of the controller or of the data subject in the field of employment and social security and social protection law in so far as it is authorised by Union or Member State law or a collective agreement pursuant to Member State law providing for appropriate safeguards for the fundamental rights and the interests of the data subject.” The specific social protection law which authorises processing of special category personal data is The Equality Act (2010). 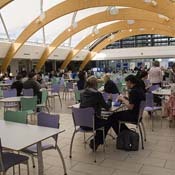 As a Tier 4 Sponsor Edinburgh College has a responsibility to comply with all aspects of the Immigration Rules and sponsor guidance, and support immigration control, including taking steps to ensure that every student at our institution has permission to study in the UK throughout the whole period of their study. We must co-operate with the Home Office (UK Visas and Immigration) by complying with requests for information, including in connection with the prevention or detection of crime, the administration of illegal working civil penalties and/or the apprehension or prosecution of immigration offenders. We may be required to provide reports to your financial sponsors to update them about your attendance, progress and welfare. We may contact your parents or guardians if we have any concerns about your attendance, progress or welfare. such as providing the results of assessments to awarding bodies to enable them to confer you with academic awards (e.g. 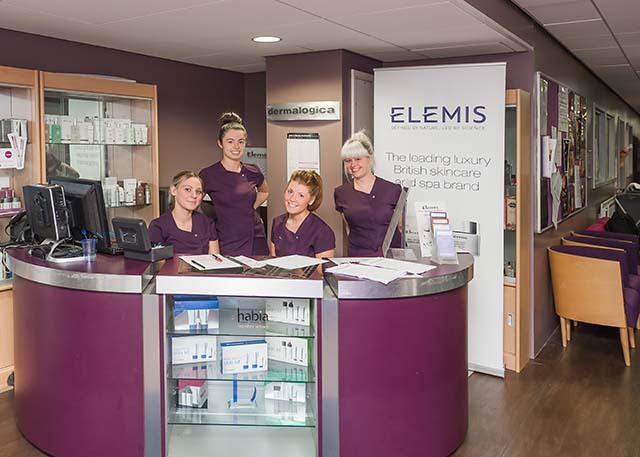 a HNC, SVQ, BTEC qualification); arranging an industry placement for you as part of your studies. To enable you to vote in Edinburgh College Students’ Association (ECSA) elections, as per your legal right to elected student representation. 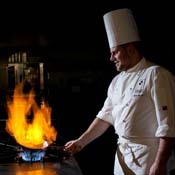 We will share your personal information (name, age, gender; contact details and special category information dietary requirements, allergies, medical requirements) to facilitate your stay. 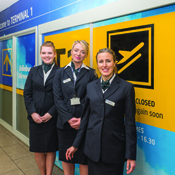 We will share your name and (homestay) address in Edinburgh with the transport provider. we will share you name with the school you are visiting. 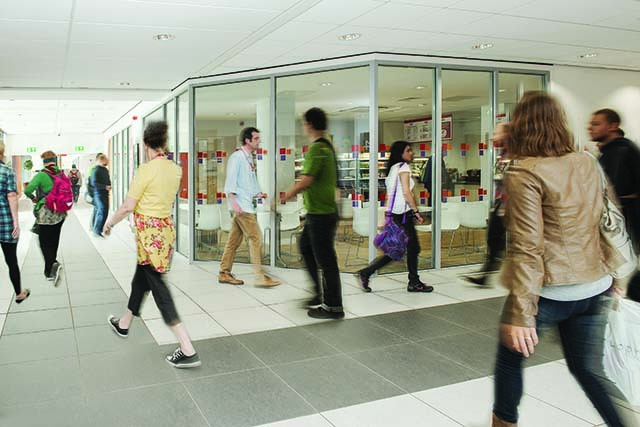 Edinburgh College is obliged to share limited information on international students with the Scottish Funding Council – the regulatory body for Scottish colleges. This information is limited to your: gender; name; date of birth; postcode; Scottish Candidate Number; how your place on an Edinburgh College course is being funded. For sponsored programmes: we may be required to provide reports to your financial sponsors to update them about your attendance, progress and welfare – subject to where your sponsor is located this may be outside the EU. 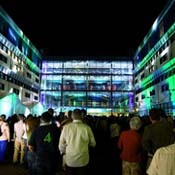 Where a sponsor is outside the EU the college ensures appropriate organisational and technical security measures are in place to safeguard your data and that a clear agreement is in place around the security of your information. We will keep paper records in relation to you studies for three years after the end of the academic year in which you are studying. Digital information will be held on the college’s systems and student records database in line with college retention and disposal schedules. 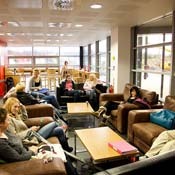 Right of access to the personal information Edinburgh College holds about you. Right to rectification - To change any personal information that’s wrong, incomplete or out of date. The right to data portability – this means you have the right to have your personal data in a machine-readable format (e.g. .csv file) provided to you (or if you request transferred to another organisation). 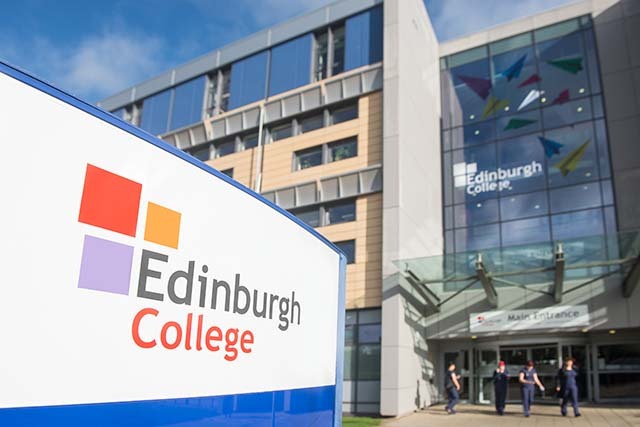 If you want to know more about your rights, or if you want to contact Edinburgh College to make use one or more of your rights, please email DataProtection@edinburghcollege.ac.uk or phone 0131 297 8663. Please note some of these rights are not absolute and require certain conditions to be met. A cookie is a small text file which is placed on your computer or mobile device by your web browser when you access a website. Cookies store information such as user preferences, to allow web applications to offer you a personalised experience and allow us to monitor which pages users find useful so we can improve your website experience. This statement aims to provide you with information on what cookies are how we use them and how to accept or reject them. Session Cookies: These are created temporarily when a user visits a website. Once the user closes the browser the cookie is deleted. Persistent Cookies: This type of cookie remains on the user’s device for a certain period of time. The cookie is re-activated when the user returns to the website that set that particular cookie. These cookies can be removed manually. Strictly necessary cookies: These cookies are essential in order to enable you to move around a website and use its features, such as accessing secure areas of the website. Performance cookies: These cookies collect information about how visitors use a website to help improve the performance of the site, for instance, which pages visitors go to most often. These cookies are anonymous and do not collect personal data that could identify a visitor. Functionality cookies: These cookies provide an enhanced, more personalised experience by storing your preferences such as username or region you are in. Targeting/advertising cookies: These cookies are used to deliver targeted adverts more relevant to you and your interests. No information from cookies can be traced to an individual person, and the cookie only relates to activity on our website. The information cannot be used for marketing on an individual basis and does not compromise the security of your device. Please visit www.allaboutcookies.org for further information about cookies. 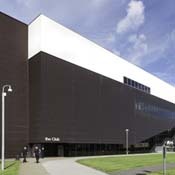 Edinburgh College uses Google Analytics to track how our website is being used. This enables us to improve the website to better meet the needs of users. Google Analytics cookies are present on every page on the website and store information such as the location of the user, how they found the site (search engine, direct link etc,), what pages they have visited and how long they have spent on the site. This information is anonymous and cannot be traced to an individual. Users can share information on our website the various social media through the “Share this Content” toolbar. Users can use the website accessibility features to change the font size, background colour and text colour of pages on the website. This allows for better readability of the website. These cookies are used to ensure that any changes made are present on all pages on the website. As such, these cookies are present on all pages, but only if the user has specified a custom setting. Users can see their previously visited courses on the right-hand side of any course pages. This provides the user with the ability to quickly navigate to one of up to the last three courses that they have viewed on the website. This cookie is only used on Course Pages. If you would prefer cookies not to store data or would like to manage individual cookies, you can do this through your web browser. Edinburgh College is providing you with this information to comply with data protection law and to ensure that you are fully informed and we are transparent in how we collect and use your personal data. Why are we collecting it (Purpose)? This College is required by law to protect the public funds it administers. It may share information provided to it with other bodies responsible for auditing or administering public funds, in order to prevent and detect fraud. On behalf of the Auditor General for Scotland, Audit Scotland appoints the auditor to audit the accounts of the College. It is also responsible for carrying out data matching exercises under the National Fraud Initiative. Data matching involves comparing computer records held by one body against other computer records held by the same or another body to see how far they match. This will include personal information. 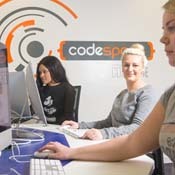 Computerised data matching allows potentially fraudulent claims and payments to be identified but the inclusion of personal data within a data matching exercise does not mean that any specific individual is under suspicion. Where a match is found it indicates that there may be an inconsistency that requires further investigation. No assumption can be made as to whether there is fraud, error or other explanation until an investigation is carried out. The exercise can also help bodies to ensure that their records are up to date. Special category (sensitive) data: Processing is necessary for reasons of substantial public interest and is authorised by domestic law proportionate to the aim pursued. The legal basis for processing your special category and criminal convictions data is Article 9 (2) (g) substantial public interest, and sections 6, 10, 11, and 12 of schedule 1 to the Data Protection Act 2018. Edinburgh College is providing you with this information, as one of our employees, to comply with data protection law and to ensure that you are fully informed and we are transparent in how we collect and use your personal data. 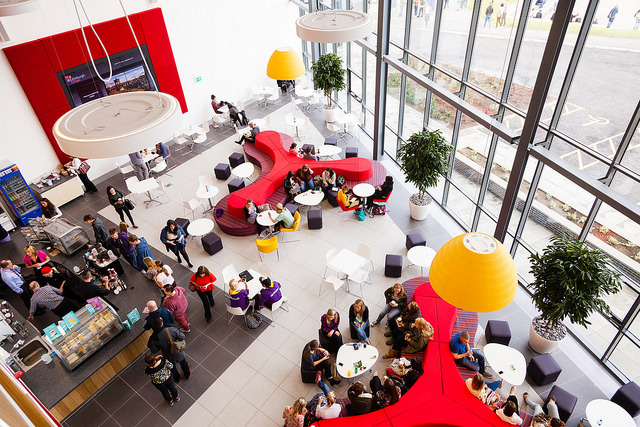 When outsourcing particular business areas of the college we are required to provide information to your new employer in adherence with TUPE regulations. Referring you to Occupational Health to assess your fitness for work (this may be an internal or external practitioner); a separate Occupational Health privacy notice will be provided at that time. Dealing with legal disputes involving you, or other employees. Complying with health and safety obligations (e.g. monitoring compulsory training). Dealing with legal disputes arising from accidents at work. Equal opportunities monitoring, in line with legal obligations, to promote inclusion. Producing quarterly and annual statistical HR Dashboards for senior management and the Policy & Resources Committee to inform business planning which includes headcount (and full-time equivalents), establishment, turnover, absence, recruitment, training and workforce demographics such as age, disability, part-time status. Providing information and data to Colleges Scotland under the Trade Union and Labour Relations (Consolidation) Act 1992 which enables agreements to be reached under National Bargaining with recognised Trade Unions i.e. pay agreements, job evaluation etc. 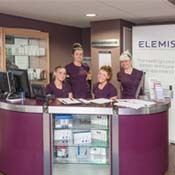 We will collect the majority of your personal information from you during our recruitment and selection process. If you applied for a post through myjobscotland.gov.uk we will have received your information from myjobscotland: they will be a separate controller of your personal data – for further information on how they process your data please see their privacy notice. For processing of your personal data, the lawful basis is GDPR Article 6(1)(b) “processing is necessary for the performance of a contract to which the data subject is party or in order to take steps at the request of the data subject prior to entering into a contract”. Where your special category personal data are processed, the lawful basis is GDPR Article 9(2)(b) “processing is necessary for the purposes of carrying out the obligations and exercising specific rights of the controller or of the data subject in the field of employment and social security and social protection law in so far as it is authorised by Union or Member State law or a collective agreement pursuant to Member State law providing for appropriate safeguards for the fundamental rights and the interests of the data subject”. Where employees’ health data are processed, there are several laws which require this. They are as follows: Health and Safety at Work etc. Act 1974; The Reporting of Injuries, Diseases and Dangerous Occurrences Regulations 2013; and Employment Rights Act 1996. Where employees special category demographic information (gender identity, sexual orientation, race, ethnicity) the specific law authorising this is the Equalities Act 2010. Where employees’ criminal conviction data are processed, the specific law authorising this is the Protection of Vulnerable Groups (Scotland) Act 2007. Where employees’ data are processed for the purposes of collective bargaining, involving Colleges Scotland, the specific law authorising this is the Trade Union and Labour Relations (Consolidation) Act 1992. Midland HR (providers of iTrent) only for the purposes of maintaining and upgrading the HR system and resolving technical queries. 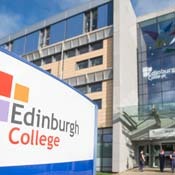 Edinburgh College hosts the iTrent application and database internally. The college will retain documents relating to pre-employment health screenings of individuals exposed to hazardous substances through their employment; and records relating to major injuries arising from accidents in the workplace; for 40 years after an employee’s employment has ceased. Edinburgh College is providing you with this information, as someone who applied for a post/job role at Edinburgh College, to comply with data protection law and to ensure that you are fully informed and we are transparent in how we collect and use your personal data. 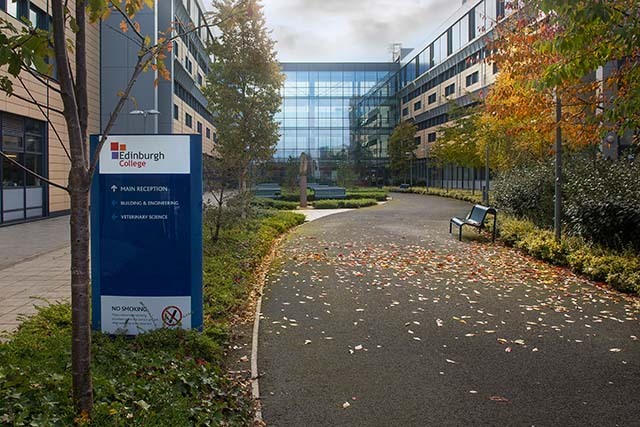 Edinburgh College is the Data Controller. We have an appointed Data Protection Officer (DPO), Alice Wilson, who can be contacted by emailing: DataProtection@edinburghcollege.ac.uk. We will collect the majority of your personal and sensitive information from you during the application stage of our recruitment process. Further information will be requested directly from you if you are offered a role with Edinburgh College (bank details, medical questionnaire, PVG application information (e.g. previous addresses); next of kin details; pension details; occupational health information questionnaire). If you applied for a post directly through our Edinburgh College website (or link to our website) from January 14th, 2019 onwards, we will store your personal and sensitive information securely on our recruitment module within our HR system (currently iTrent). If you previously applied for a post through myjobscotland.gov.uk we will have received your information from myjobscotland: they will be a separate controller of your personal data – for further information on how they process your data please see their privacy notice. To meet our Public Sector Equality Duties under the Equality Act 2010, we collect additional personal and special category data about our applicants, via our Equalities Monitoring form, to assist the college in monitoring and advancing equality of opportunity and eliminating unlawful discrimination. Where your special category personal data (e.g. gender identity, sexual orientation, race, ethnicity) are processed for this purpose the lawful basis is GDPR Article 9(2)(g) “processing is necessary for the purposes of carrying out the obligations and exercising specific rights of the controller or of the data subject in the field of employment and social security and social protection law in so far as it is authorised by Union or Member State law or a collective agreement pursuant to Member State law providing for appropriate safeguards for the fundamental rights and the interests of the data subject”. Where applicants’ special category demographic information (gender identity, sexual orientation, race, ethnicity) are processed for the purposes of monitoring and advancing equality of opportunity and eliminating unlawful discrimination the specific law authorising this is the Equality Act 2010. Where applicants’ criminal convictions information are processed the specific law authorising this is the Rehabilitation of Offenders Act 1974 (Exclusions and Exceptions) (Scotland) Amendment Order 2016. Where applicants’ asylum status/right to work in the UK information are processed the specific law authorising this is the Immigration, Asylum and Nationality Act 2006. If you are unsuccessful in our recruitment process (i.e. 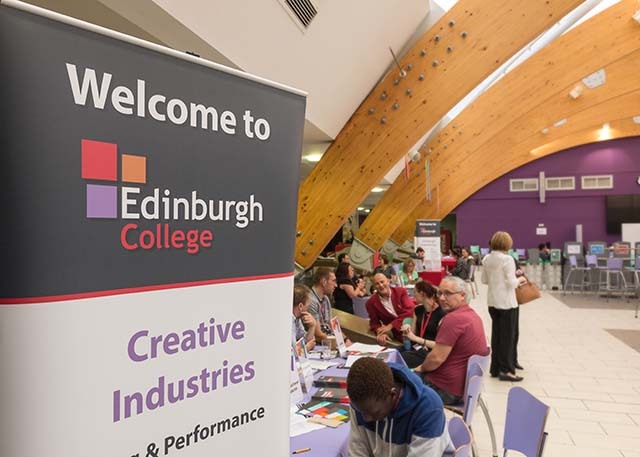 you are not offered a role with Edinburgh College) your information will be deleted 6 months after the closure of the recruitment campaign for which you applied. If you are successful in being appointed to a role at Edinburgh College, we will transfer your personal and sensitive information into our iTrent employee module (please see Privacy Notice for Employees of Edinburgh College (November 2018)). Under data protection law, you have a number of rights, some of these rights only apply if certain conditions are met. Your rights are: right to be informed (e.g. privacy notice), right of access, right of rectification, right of erasure (commonly known as the right to be forgotten), right to restrict processing, right to object, right to data portability and the right to know of any automated decision making (including profiling). It’s worth noting that you can exercise your rights either verbally or in writing and the College would be required to process your request in one month. 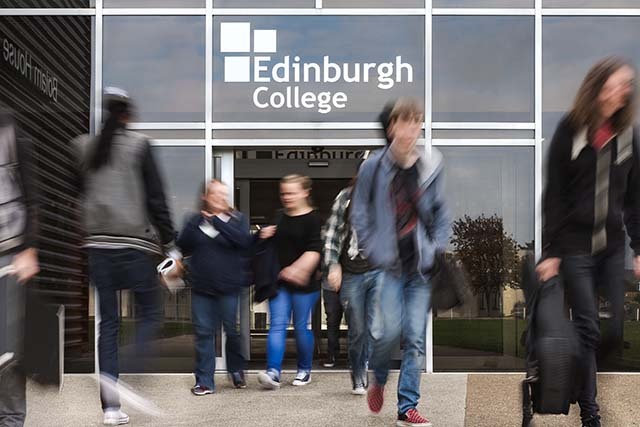 Edinburgh College is committed to a policy of protecting data, and to protecting the rights and freedoms of individuals with respect to the processing of their personal data. 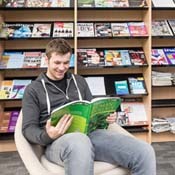 Our Data Protection Policy sets out the legal framework and risks which govern the college’s use of data; the college’s commitment to protecting its data; and the obligations of users to protect all data (with particular reference to personal and special (previously called sensitive) categories of personal data). For information on how to report a suspected data breach, involving personal data, please read our Data Breach Reporting Procedure.